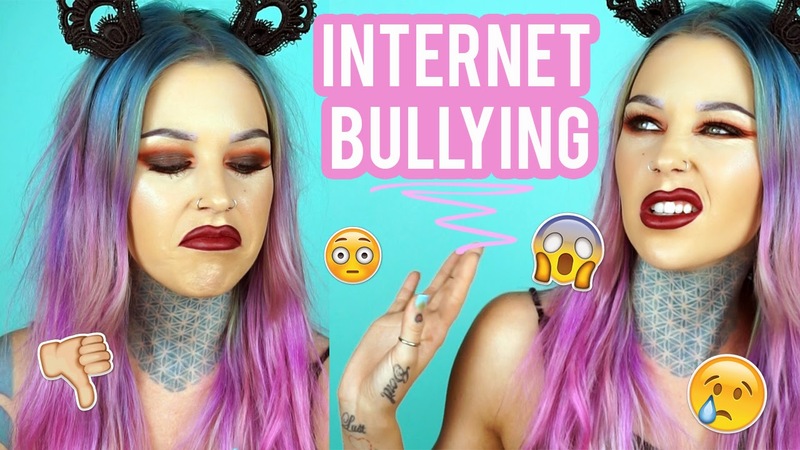 We have all experienced internet bullying or just bullying in general. I deal with it every day as well, you're not alone! I put myself out there more than most, so I pretty much expect it (which is kind of sad). I just wanted to take a moment to shed some light on internet bullying and encourage everyone to spread positivity and love, rather than saying things that bring people down. I have been made fun of for numerous things since I was in 5th grade. I finally realized that no matter WHAT I did, I got made fun of. So at that point, I decided to do whatever I wanted to do, because what's the point of trying to conform to what other people think you should be? They're gonna find SOMETHING to make fun of you for, so you might as well be happy and live your own life to it's fullest. No regrets! Be you. Look how you wanna look. Do what makes you happy. Someone is always gonna have a problem with it and voice their unwanted opinion to you. For some reason they wanna be the one to tell you what you're doing is stupid. You just have to let it go, and keep doing your thing with your head held high. More often than not, when someone is making a rude comment to you or about you, they're jealous or they're really insecure themselves and they wish they had the balls to live how you do. IE: doing what you want! Even though it's hard, try to show them love and compassion.